I received this NIB Giants today. Is the 10 per team thing a proven fact, or just a number that someone threw out there? All that is confirmed is that 10 contestants were selected to enter a cook off at home openers using team branded master touches. Not positive if everyone got to keep one or just the winner. But theres no record or sign of them being sold to the public. So our best guess is that they could be some of the rarest kettles around. 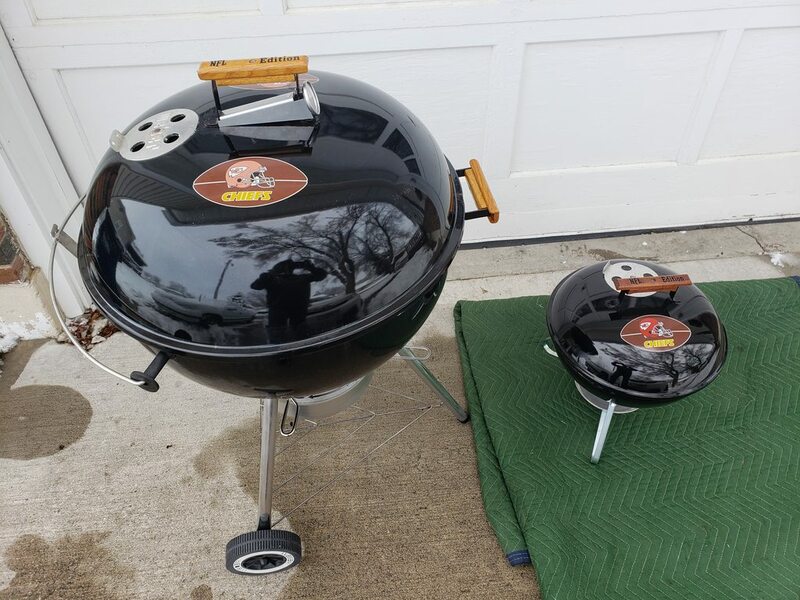 When I bought my Detroit Lions Master-Touch and posted it on Weber's Facebook page I was told by Weber that 8 to 10 of them were made per team for a BBQ competition at every NFL teams home opener. Each person, cooked on the grill and entered their food in the contest, win or lose they walked away with the kettle and accessories. 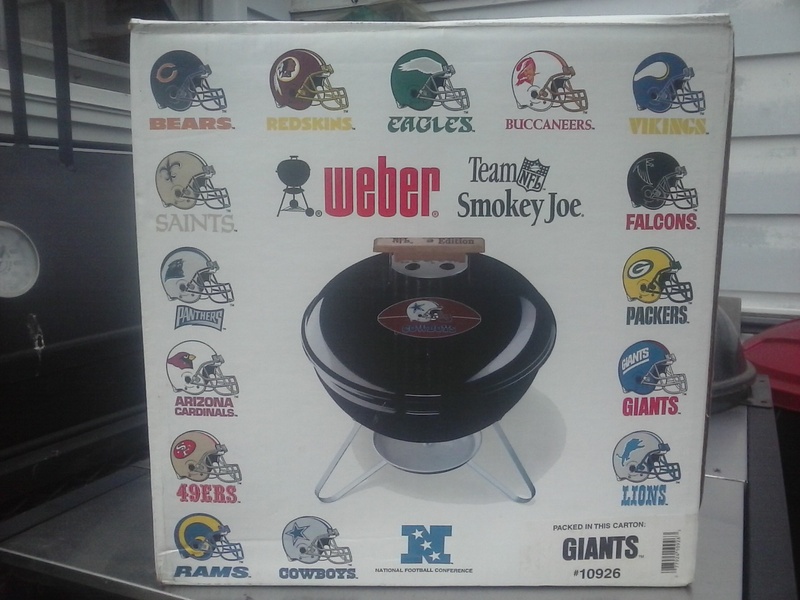 Keep in mind this was only for the Master-touch's, I think the BBQ competition was to promote the smokey joe's which were sold in stores in a limited capacity. Thanks for the info. I picked up a Chiefs SJ back in the Spring. Looks to be in virtually new condition. Yesterday I picked up Chiefs MT that will need some attention. Ash sweep is rusted in the full open position. quite a long time. I will drop a few before and after pics when I am done with the restore. @captjoe06 Wait, what now Joe? I don't believe I've heard this story. Missed out on one years ago because I didn't know how rare they were and didn't jump on it. 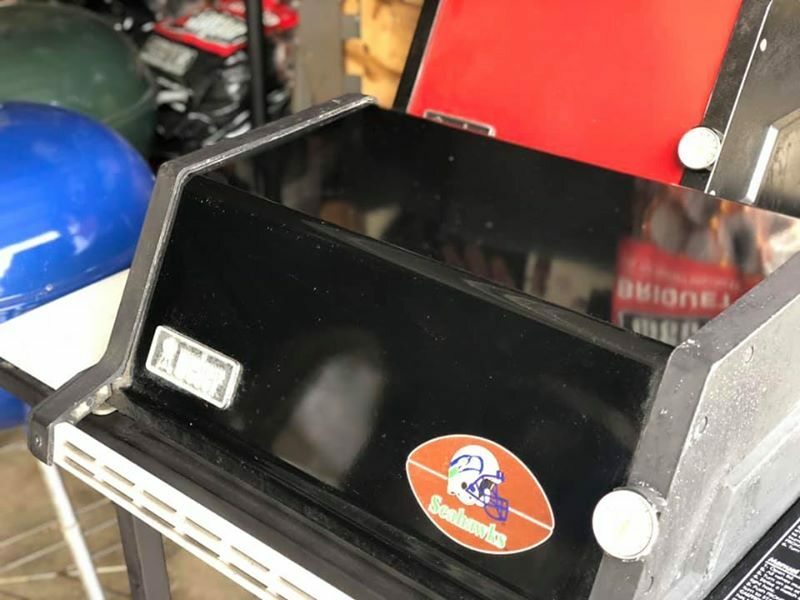 Does anyone know any history of the Genesis logo'd grills? it, but new nothing of its history. I have to think they were made the same time as the SJ and MT. I was fortunate enough to score both of those in the last year. Looks like the Chiefs Genesis mayl be another unicorn for me to chase.